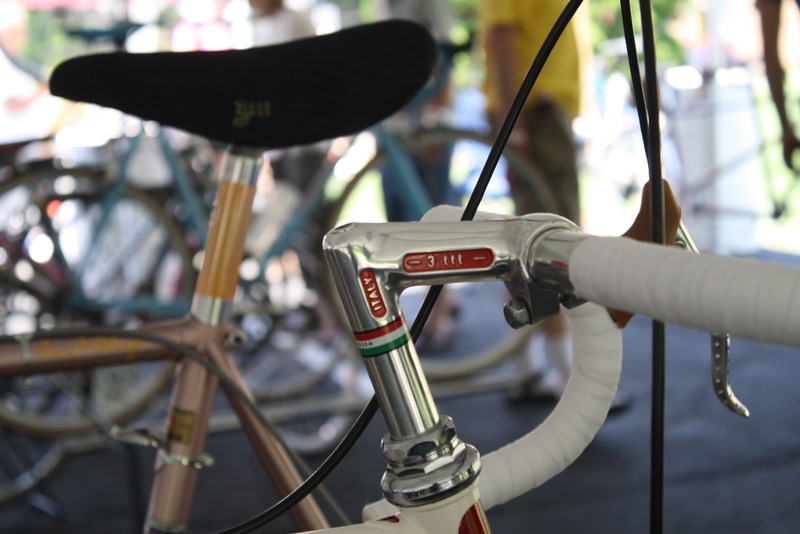 Beautiful 1974 Masi Gran Criterium, owned by Mike Kelly. 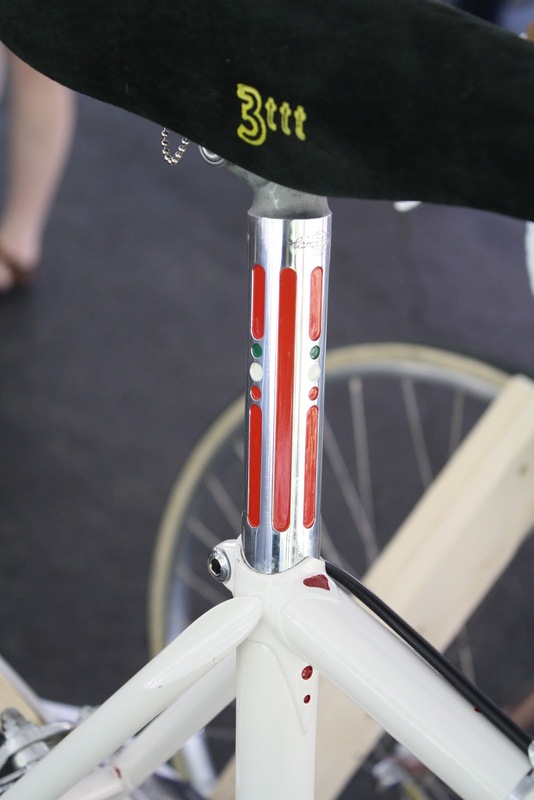 This bike has a lot of cool little drillium touches and details. 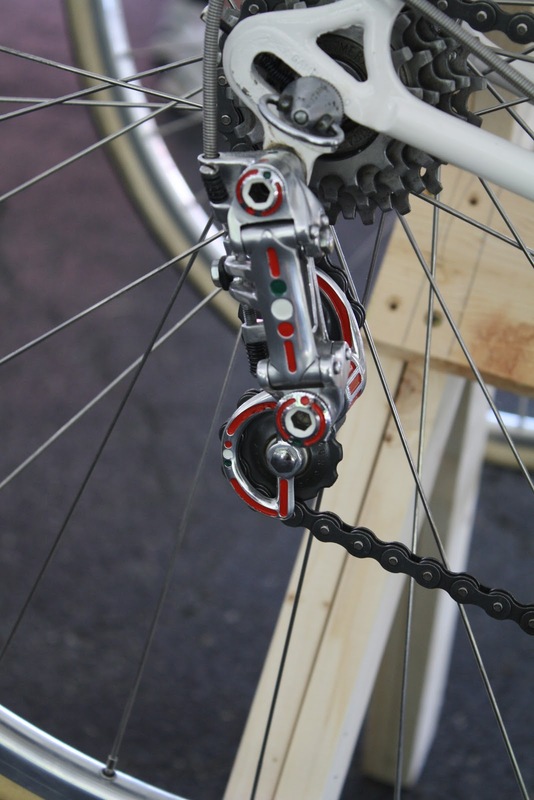 Painted and milled cranks and front derailleur. 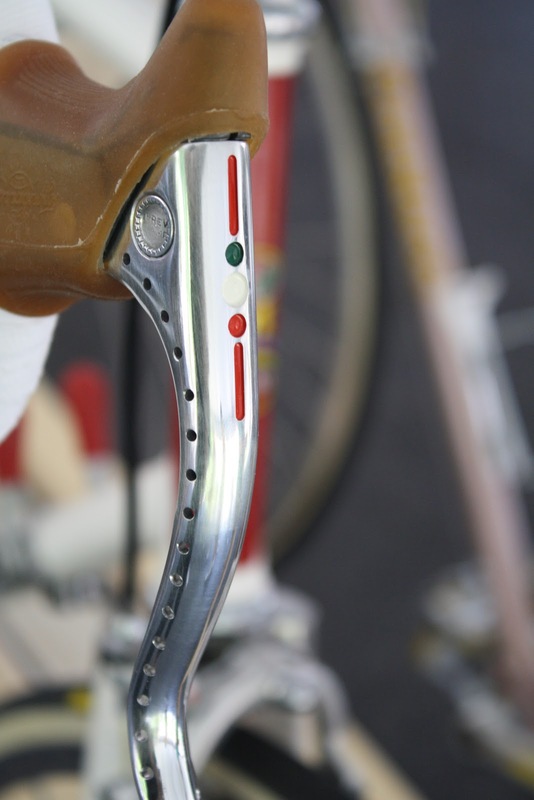 Intricate drillium on the rear derailleur. Milled and painted brake levers. Milled and drilled brakes. 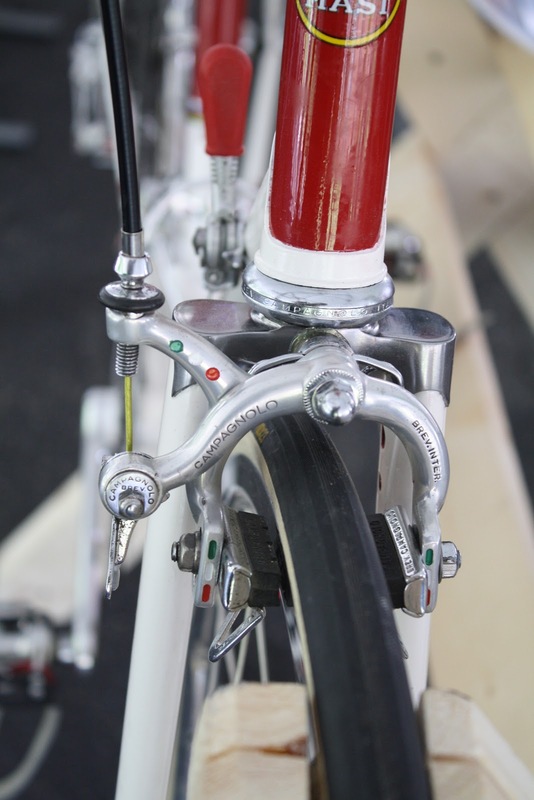 The milling on the brake arms where the pads bolt on is especially neat. Milled Campagnolo seatpost, with seatcluster lug detail. What a fantastic showcasing of exemplary craftsmanship. 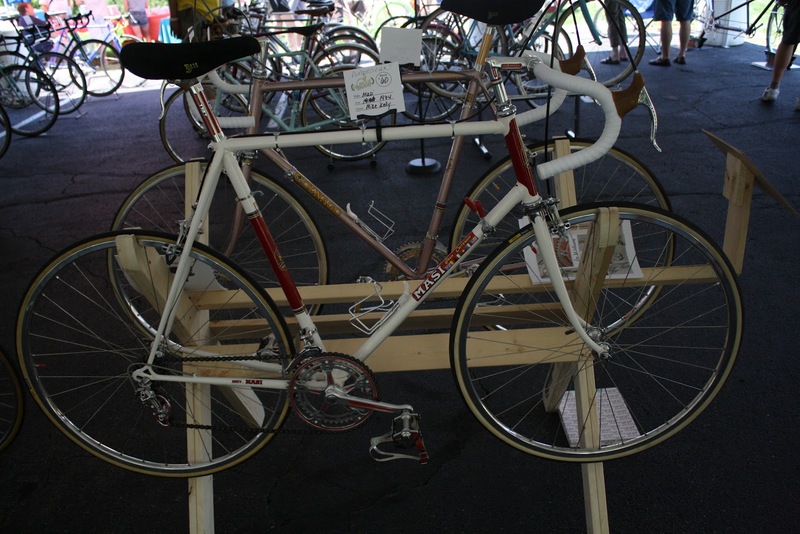 Plus, a legendary “Grail Bike” as well! 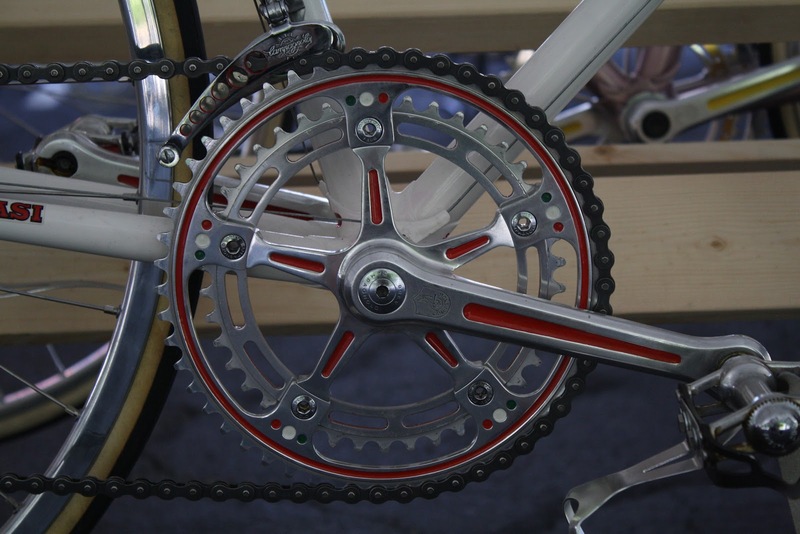 I hope you don't mind as I have added you to the links page on my blog, The Simplicity of Vintage Cycles. Keep up the great work!